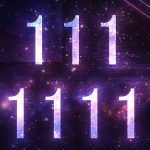 The meaning of numbers repeating in a series such as 111 and 1111 was placed into the mainstream as “Angel Numbers” by author Doreen Virtue, with the help of the mass market publisher, Hay House. 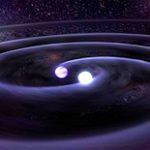 I have added a new article to the Resources page discussing the true meaning of 111 and 1111. The Head Says & Heart Says Card Spread is a quick and easy 5-card layout allowing one to look into their thoughts and feelings. It can help with sorting out matters where logic and emotional attachments make decision-making difficult. It can also be used for investigating if might be having a difficult time expressing themselves. 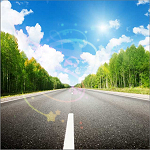 The Driving Forward Tarot and Oracle Card Spread is very straightforward (no pun intended). It is based on the concept of being the driver of a vehicle. The magick of the spread is because of its versatility. This card spread’s interpretations can also become more dynamic based on what type of card deck is used. Does Cubic Zirconia Have Metaphysical Properties? 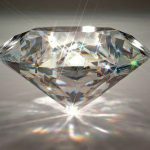 What would give Cubic Zirconia metaphysical properties for healing? 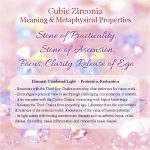 Although it is synthesized, Cubic Zirconia legitimately has metaphysical properties and values based on its origin, history, application of use and energetic vibration. There are some excellent points to consider with this man-made stone before discarding its esoteric value. Read more about the stone’s properties here. The Cubic Zirconia meaning and metaphysical properties come from an important history. The stone’s properties are both protective and restorative. Those with a special connection to Cubic Zirconia meaning can detect its vibration as one that rings in blissful tones. Due to its unexpectedly heavy weight, the stone is excellent for grounding the practical perspectives it is offers. Life can be an awkward experience for kids with ESP abilities. I was aware of my psychic abilities at a very young age. How ‘normal’ was psychic life for me then? 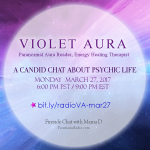 How normal is life as an adult psychic now? I will be spending time with a talk radio show host to answer her questions. 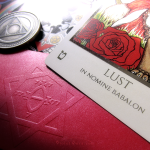 Babalon is described as a natural force who embodies both lust and the liberation of Spirit. In sacred geometry, she is the Feminine Principal. Her equivalent is the Flower of Life. She is also an eternally fertile force equated to Mother Earth and Gaia. Equivalent deities in other cultures, include Isis and Ma’at, and Ishtar. There are viral afflictions of separation sickness and crisis-of-faith not being adequately addressed. 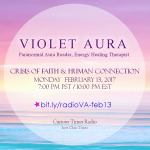 How do we get past anxiety, fear and resentment? Can we restore confidence and hope in one another to rebuild the human connection? 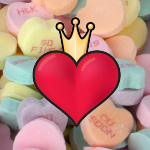 How do we promote love to each person in a sincere way and encourage understanding at the heart level? Happy New Year! 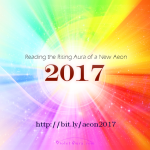 In this article I report the energies in the rising aura of 2017. This is the year of psychic communication, choosing alliances, devotion, finding alignment, change and the fight for autonomy. Like-minded groups will amass in greater numbers to concentrate their power. 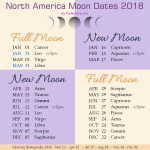 Are you curious about what energies will support your path? The Soulmate Connection – Why is He So Afraid? A soulmate connection for most, comes with great costs. For many, this connection is bittersweet. With so much love and a sense of true communion and unity, it also feels like there is so much weight to bear with it. He runs. Why?